I am finding since my son started the S.A.M. program that his maths abilities and understandings are dramatically improving. The best part of it for me is that he really enjoys the classes, they are Maths made fun which I think is really important. 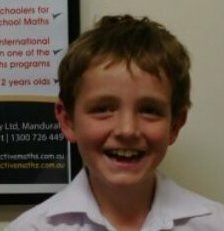 While he was struggling with maths he was growing to really dislike it, but now he actually enjoys maths which also helps him learn. I have seen a great improvement in both my girls maths ability, leading them to both receive certificates from school recently for their vast improvement for Mathematics. They do sometimes struggle with the homework books, but the trainer goes through this with them at the next lesson so it is still fresh in their minds. I did parent help in my daughters Yr3 class last week and it was evident that by doing SAM it has put her to the top of her class (as I witnessed a lot of the children were struggling). I felt relieved knowing that enrolling them in SAM was the best decision and happy to know that they understand the concepts of a subject that I agonized with at school. I highly recommend anyone considering enrolling in SAM to just do it! Since our daughter has commenced with SAM maths her grades have improved and more importantly she has gained confidence and knowledge to assist her as she has entered high school. Our daughter has been attending S.A.M. 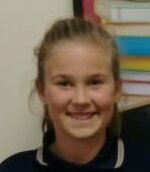 for the last 9 months and in that time her confidence in applying maths principles has increased dramatically which has translated in her overall numeracy skills improving. We’re very happy to have a child who now looks at maths from a positive perspective compared to her pre S.A.M. days of dreading anything maths related. Jacob has been attending SAM for 8 months now and absolutely loves it. The teachers are so lovely and Jacob has learnt so much and has come so far. He is beyond where he should be at school. This program is great for children that may be struggling and also for those who wish to advance. Jacob loves it so much he now goes twice a week. I would highly recommend this programme to anyone.